DOWNLOAD BY SEARCHING FOR "CALVING CALCULATOR" IN THE APPLE APP STORE OR GOOGLE PLAY STORE, OR BY CLICKING THE ICONS BELOW. Be guided through the process to predict the due date of your calves – whether you are calculating for a herd or a single female. 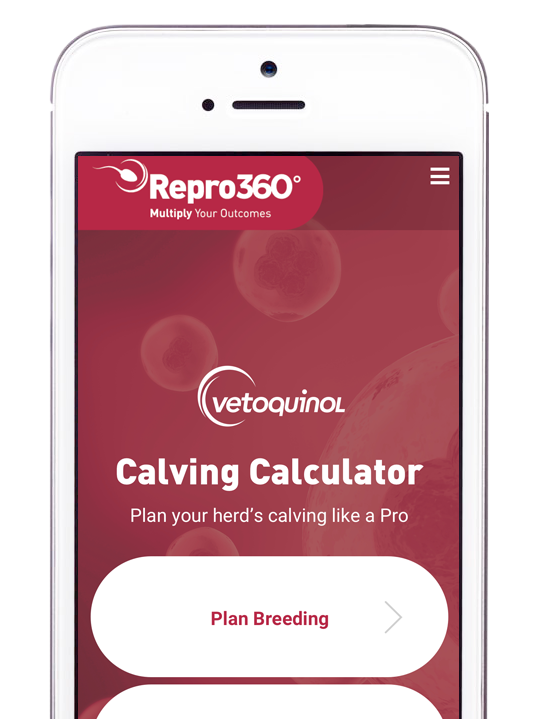 If you want your herd to calve around a specific time, use this app to help you plan when your cows or heifers need to be inseminated or placed with bulls, and when to administer synchronisation protocols to get the best results. 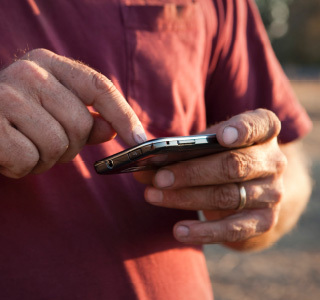 This app will help you determine the most accurate timing for a range of beef and dairy cattle breeds popular in Australia. Manage multiple mobs with our specialised reproduction schedule tracking function. Keep track of all the details. 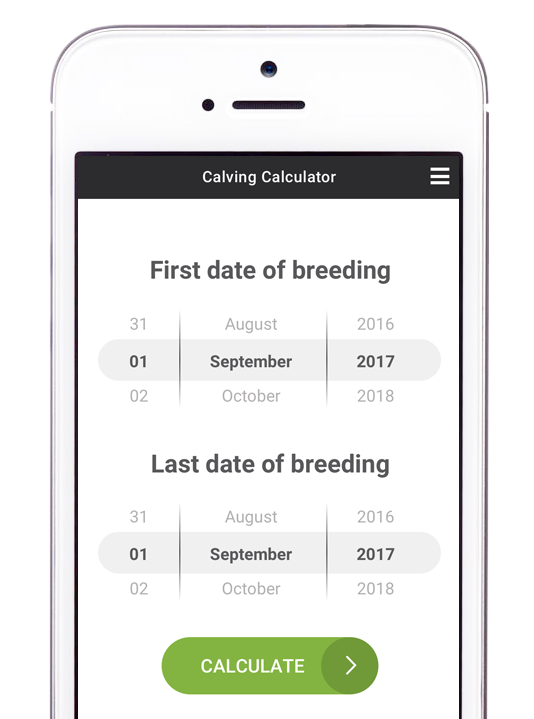 Whether you are using IVF, Embryo Transfer, Artificial Insemination, Heat Detection + AI or Natural Mating, this app will help you plan your herd’s calving schedule from start to finish. 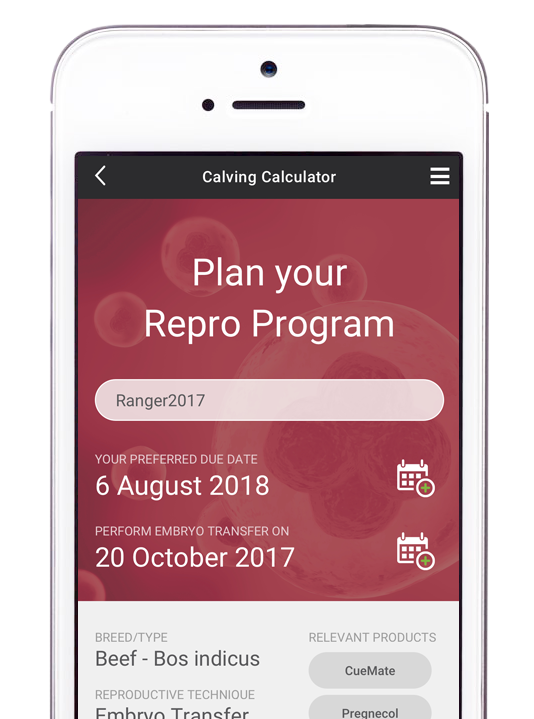 Simple, straight-forward design to help you plan ahead, and then get on with the job of managing your herd’s reproductive program. We know connectivity is important to you, so we’ve made this app available on Apple and Android platforms. To download you can click on the Apple or Android icons above, or the links here. 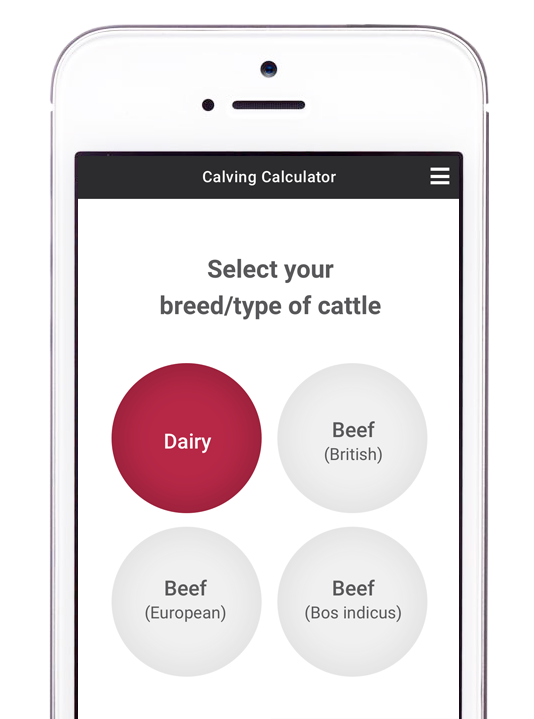 You can also download the app by visiting the Apple or Google Play stores and searching for "calving calculator". We want this app to be useful to your breeding program and veterinary practice, and we will continue to invest in making it better and better. If you have any suggestions, please get in touch.